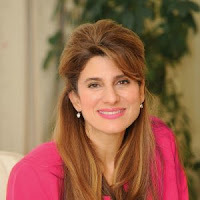 Company News in Egypt: War on Cancer takes on cancer control in the Middle East with HRH Princess Dina Mired, president-elect of the Union for International Cancer Control (UICC), and other esteemed international industry professionals. War on Cancer takes on cancer control in the Middle East with HRH Princess Dina Mired, president-elect of the Union for International Cancer Control (UICC), and other esteemed international industry professionals. April 30th 2018, Dubai, UAE - The Economist Events’ inaugural War on Cancer Middle East event, on Tuesday, May 1st 2018, will explore some of the best practices learned from other events in the global War on Cancer initiative, and evaluate the scale of the problem in the Middle East. With a booming youth population and ambitious plans for the future, many Middle Eastern countries have set their sights on progress in the fight against cancer. HRH Princess Dina Mired, president-elect of the Union for International Cancer Control (UICC); Nisreen Qatamish, director-general of the King Hussein Cancer Foundation; and Joseph William Asseily, founding board member of the Children Cancer Center of Lebanon (CCCL), will explore the state of cancer care in the region–areas of success, as well as where there is room for improvement. The panel will analyse effective cancer control plans implemented in certain countries and how others can develop their own. “As a regional hub for cancer care that treats patients from across the Arab world, the King Hussein Cancer Foundation and Center are proud to participate in the War on Cancer Middle East 2018. This conference comes at a critical time as cancer rates continue to rise across the region, and brings together stakeholders from around the world to address these challenges and tackle the burden of cancer in the Middle East,” said, Ms Qatamish. “Over the past few decades, we have made remarkable progress in the global fight against cancer. Medicines have contributed to a decline in cancer deaths in many countries and regions, but there’s still tremendous work left to be done–particularly in the Middle East where cancer is on the rise. Innovative biopharmaceutical companies are committed to pushing the boundaries of our knowledge and working to advance the treatments and cures available for cancer through sustainable research and development. But, to shift cancer from a deadly disease to a condition that is manageable and highly treatable, we need to advance policies that encourage innovation and enable patient access. We look forward to collaborating on sustainable solutions.” added, Samir A. Khalil, executive-director of Middle East and Africa at Pharmaceutical Research and Manufacturers of America PhRMA). Experience shows that building a healthcare system that is reactive rather than proactive is not the most effective way to deliver cancer care and prevent untimely deaths. But moving towards a more proactive model requires a complete overhaul of how governments approach healthcare policy from a systemic perspective. Rifat Atun, professor of global health systems at Harvard University, and Diana Bowser, course director of the global health and population department of the Harvard School of Public Health will join Charles Goddard, editorial director of Asia Pacific at The Economist Intelligence Unit to discuss how health systems can be redesigned to improve cancer outcomes. “At AstraZeneca our vision is to respond to unmet medical needs by redefining the cancer treatment paradigm and eliminate cancer as a cause of death. As a global innovation-driven biopharmaceutical company we focus on the development of novel targeted monotherapies and combinations that specifically address the underlying mechanism of the disease or how it evades effective immune response. We then make our science accessible by designing and delivering life-changing healthcare programmes tailored to the needs of the communities and patients that they serve. We believe that the challenge of beating cancer can be met through scientific innovation, accelerated clinical programmes and collaboration. ” says, Samer Hallaq, area vice-president for the Middle East at AstraZeneca. War on Cancer panel discussions will also explore late detection (an acute problem in the Middle East), meaning that early detection must be a core part of any cancer control programme. The conference will also highlight the benefits of early access to treatment for cancer patients, an important and yet highly specialised and costly affair. or those in remote areas, where access is particularly difficult. “At Pfizer, our aim is to transform the lives of cancer patients in the Middle East by making innovative healthcare more accessible. Althoughtgreat strides are being made every day in cancer treatment and detection around the world, many challenges abound, and we are proud to be part of this important event to discuss how through education, innovation and partnership we can improve diagnosis, treatment and the quality of life of Middle Eastern oncology patients.” says, Sinan Atlig, Head of Pfizer Innovative Health, Africa and the Middle East. With many countries in the region boasting universal health coverage for nationals, migrant workers still make up large proportions of the workforce – close to 50% in GCC countries. Michael Bitzer, chief executive of Daman; Ehab Yousef, general manager of Roche Middle East; and Haidar Al Yousuf, managing director of Alfuttaim Health will discuss the importance of financing the gap between private-sector insurers and investors to ensure that cancer control is affordable throughout the region, reducing high out-of-pocket payments. Richard Sullivan, a professor of cancer and global health at Kings College London and Vivek Muthu, chief health adviser of The Economist Intelligence Unit, will imagine the Middle East healthcare landscape in 2050 and how the previously unimaginable innovations in cancer have come to fruition and the impact that this will have on access and outcomes for healthcare. This session will be followed by a panel discussion that will explore improving access to healthcare systems and affordability through innovation. “Roche is very happy to sponsor the first War on Cancer conference to be held in the Middle East. All healthcare partners need to work together to find sustainable solutions to ensure that everyone living with cancer has access to the care they need, when they need it. We see War on Cancer as playing a key role in developing these solutions because it brings together people from across the region with one aim: to reduce the number of people dying in the Middle East from cancer. As we improve our understanding of cancer, we will be able to offer new hope to patients and their families through more effective diagnostic tools, more targeted treatment options and better disease management, which could improve outcomes and quality of life.” says Ehab Yousef, general manager of Roche Middle East. The conference will have two sessions hearing the patient’s perspective and will look at specific case studies and bring inspirational individuals and patient groups into the discussion. The War On Cancer Middle East conference will be held on May 1st 2018 at the Taj Hotel, Business Bay.